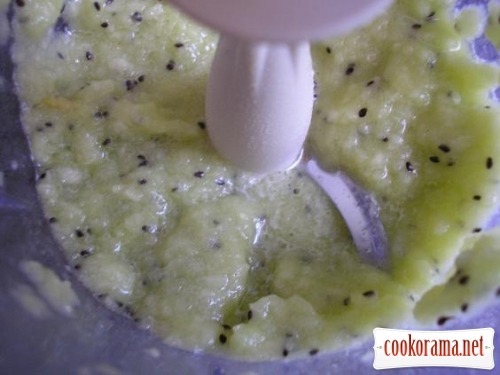 Peel apple, remove seeds and grind with kiwi in blender. 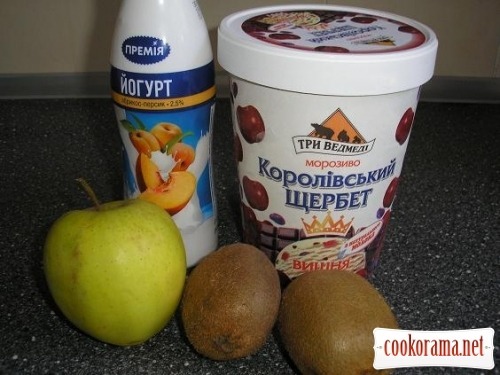 Add ij=n blender yogurt, ice-cream and mix for a few minutes. 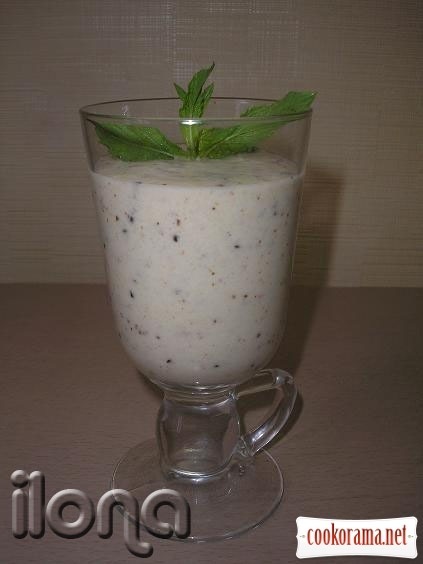 Pour ready smoothie in glass and decorate with mint spring. 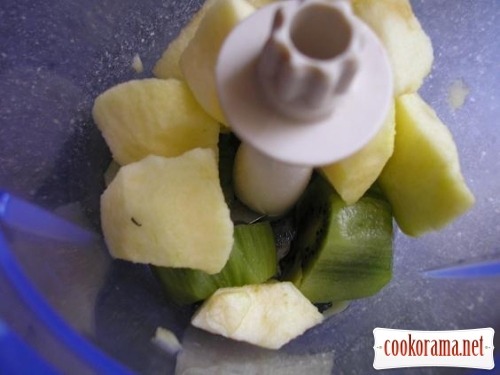 Top of recipe "Smoothie of kiwi and apple"